New. 0394747232 BRAND NEW, GIFT QUALITY! NOT OVERSTOCKS OR MARKED UP REMAINDERS! DIRECT FROM THE PUBLISHER! |0.86. New. Trade paperback (US). Glued binding. 160 p. Contains: Illustrations. Maus, 1. Intended for a young adult/teenage audience. New. 100% Money Back Guarantee. Brand New, Perfect Condition. We offer expedited shipping to all US locations. Over 3, 000, 000 happy customers. Trade paperback (US). Glued binding. 160 p. Contains: Illustrations. 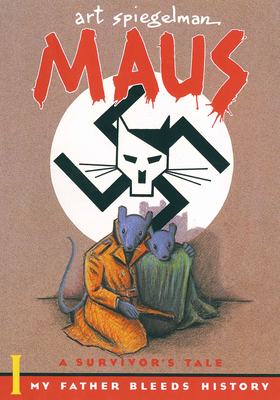 Maus, 1. Intended for a young adult/teenage audience. New. 0394747232 MULTIPLE COPIES AVAILABLE-New Condition-Never Used-DOES NOT INCLUDE ANY CDs OR ACCESS CODES IF APPLICABLE.